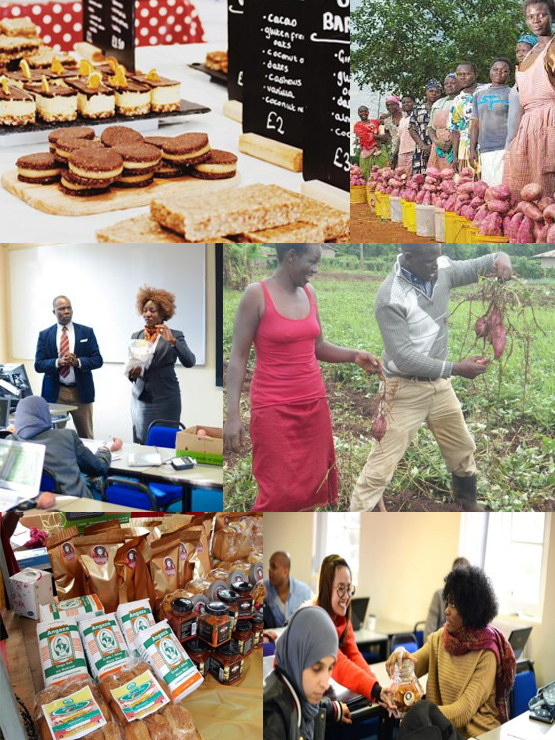 As part of sacoma–kerciho sweet potatoes food parks we have created a physical and virtual platform for food business start-ups to realise their ideas and share their innovation with the SACOMA product brands. In 2015 we launched our indoor Startisans Market. Set in the heart of London, with Covent Garden to the west and The City to the east, this site is the perfect launchpad for startups and budding entrepreneurs. Customers will delight in our snack and dips options as well as regular events inviting foodies to join in the celebration of London's emerging food entrée-preneurs! Would you like to empower farmers? SACOMA is doing exactly this, and YOU can play a part! We invite you to join us on this project by becoming an ambassador. We have done a lot of hard work to set things up but WE NEED YOUR HELP to realize this project fully. SACOMA SWEET POTATO ENTERPRISE AMBASSADORS is part of a wider catalyst promoting enterprise. Ambassadors are recruited from all parts of the world, to reach into communities and to reach out to consumers to create awareness of the social benefits of our sweet potatoes to raise enterprise aspirations and encourage them to link or partner with SACOMA to open up new markets and enterprises for the SACOMA sweet potatoes supply changing and increase a range of new markets our small holder farmers products.